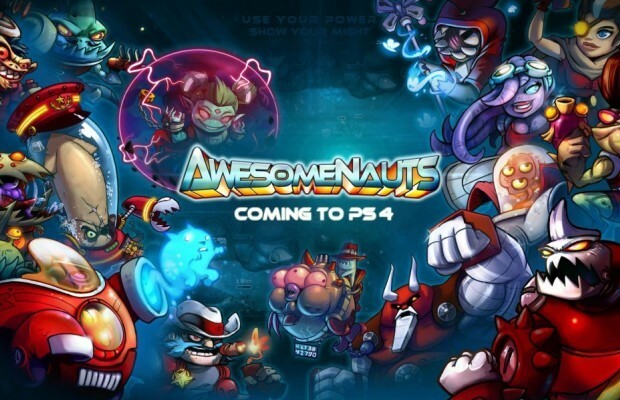 Ronimo Games, the developers behind the superb Awesomenauts, has announced that their 2D MOBA is coming to the PS4 at some point. Helping bring the game to the console is Abstraction Games. This version will be identical to the supreme PC/Mac/Linux version of the game. That means that the PS4 version will have the extra map, 6 extra characters, DLC skins, and netcode and gameplay fixes that the 360 or PS3 have unfortunately been without. As to when the PS4 will get the game is up in the air, as Ronimo are currently mum on the subject. So, if you haven’t gotten this game yet, you really are running out of excuses. Seriously. Buy it. Awesomenauts is the best in the genre (apart from the obvious kings, Dota 2 and LoL) and is easily the most accessible of the bunch.